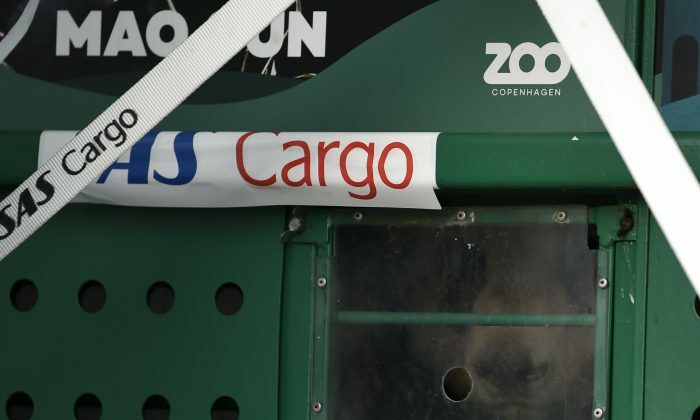 COPENHAGEN—An expert panel in Denmark has warned about the gamut of tactics employed by the Chinese regime to allegedly interfere with foreign politics and national security as two cuddly pandas arrive in Copenhagen Zoo from China. 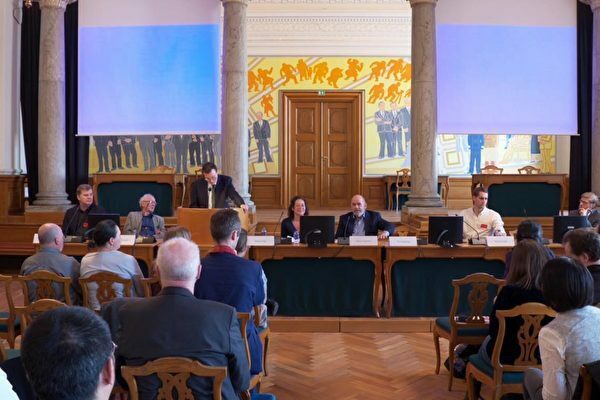 Politicians, academics, journalists, and witnesses of the Chinese Communist Party’s (CCP) economic influence on Danish society came together during a seminar held at the Danish Parliament on April 4, to discuss the increasing relationship between the two nations and the threat such a relationship with the world’s largest communist regime could pose to the small European nation. Denmark has previously warded off attempts by the CCP to create a presence in Denmark and Greenland—a self-governing territory of the Danish Kingdom—for fears over national security. In 2017, Denmark turned down an offer by a Chinese company to acquire an abandoned naval base on Greenland over security concerns. Similarly last year, the Chinese’s attempt to finance three major airports in Greenland was also thwarted after the Danish government stepped in, upon the urging of the United States, reported the Wall Street Journal. The CCP’s latest attempt to charm the European nation by gifting two pandas as part of its “panda diplomacy” has experts worried that the Danish government will have to tread lightly around issues relating to China for fears of angering the communist regime, even if the decisions may not align with Denmark’s values. The “panda diplomacy” is a move the regime employs to forge “guanxi” or deep, long-lasting relationships in exchange for trade and foreign-investment deals. “We’ll still want to trade with China, we just don’t want to be dictated by China,” said Søren Espersen, the chairman of the Danish parliament’s Foreign Policy Committee. 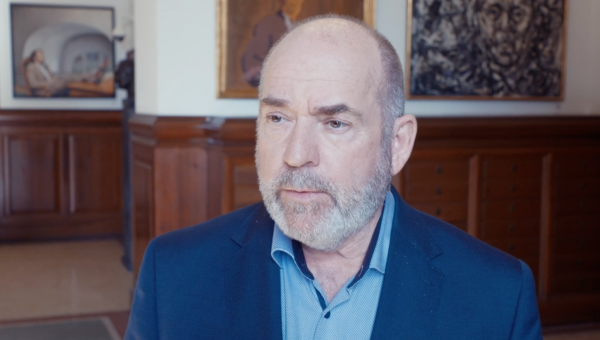 Espersen said the CCP has already on many occasions tried to influence Denmark’s foreign policy in trying to implement its “one-China policy” by using trade and economic benefits as leverage. “China is trying to wiggle its way in—under the cover of business partnerships. The communist regime has in recent years run effective political harassment against Denmark,” said Espersen. “The Chinese describe this as ‘enforcing the one-China policy.’ And this is done with the most intolerable arrogance,” he said. Espersen said one example of alleged harassment was when Danish Prime Minister Lars Løkke Rasmussen received the Dalai Lama for a talk at the Prime Minister’s residence in 2009. He said after the visit 40 export companies approached the government and complained that exports to China had stalled. “Containers were ‘forgotten’ on the harbor quay, no new licenses were given, harassment, harassment, and even more harassment,” Espersen said. “China makes sure of course, that it adheres to all the World Trade Organization rules on the surface because they never leave traces of evidence when they threaten and harass both Danish business and Denmark officials,” he added. In another example, the exiled prime minister of the Tibetan government had requested a meeting with the Speaker of the Danish Parliament Pia Kjærsgaard. At the time, Espersen was in Beijing for a Foreign Policy Committee trip where he met with Chinese regime officials. Espersen recalled that they received a “very aggressive oral dressing down” from a Chinese minister who demanded Denmark refuse the request. “We who were present amongst us—three ex-foreign ministers of Denmark—were absolutely stunned. They had never ever in their diplomatic career been told off like that. We felt as if we were children,” Espersen recalled. Ultimately, Kjærsgaard did not have time to see the exiled prime minister and instead, Espersen accepted the request on her behalf, holding a meeting at his office. The chairman of the Foreign Policy Committee said on the next day, he received a phone call from the Chinese Embassy in Copenhagen “with a very angry protest” that the meeting had taken place. “Note that—as always—it was just a phone call. China never sends emails or letters and therefore never leaves a trace of their threats and harassment of business or officials of Denmark,” Espersen said. “This is how they operate everywhere in the world. It is common practice. With elegance and with sophisticated cynicism, the communist regime manages to threaten and harass—without evidence appearing anywhere,” he added. 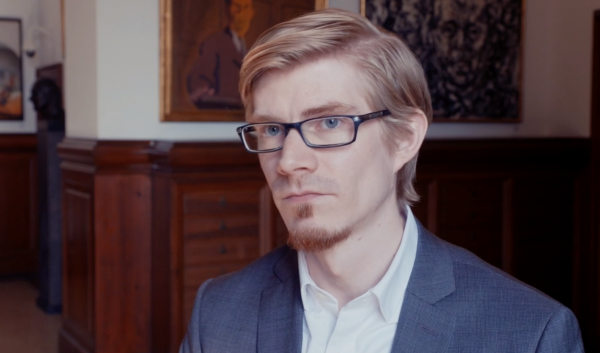 Moreover, Espersen said that along with political interference, the CCP has also allegedly tried to influence art and culture overseas by interfering in Shen Yun Performing Arts Performances in Denmark in 2017. New York-based Shen Yun seeks to revive 5,000 years of Chinese culture through performing arts, according to the company’s website. Its performances include pieces that portray contemporary China, including the ongoing persecution of Falun Dafa (also known as Falun Gong)—a topic considered taboo by the Chinese regime. Thomas Foght, an investigative journalist with Radio24syv, conducted a probe into the alleged interference and found evidence to show that the Chinese embassy had pressured the theater to not lease its venue to Shen Yun. “It showed for the first time that the Chinese embassy and delegation was actually pressuring the theater in not letting them book these facilities,” Foght said. During his investigation, Foght obtained emails that revealed one of the theater’s employees told another staff member that they had met with the Chinese embassy. According to the email, the Chinese embassy asked the theater to not allow Shen Yun to book their facilities at the end of the meeting. “Since 2007 until 2017, the only reason why the theater was rejecting Shen Yun was because of the artistic level, but I think this gave a new dimension to the story because now we could suddenly prove that there was a pressure from China towards the theater,” he added. He said the theater director and Denmark’s minister of culture subsequently denied the allegations at the time, but the circumstances of the case were consistent with other examples of pressure by the Chinese regime in Denmark. Jakobsson said nations engage in the grey zone strategy when the relationship between two countries is not at “peace” but also falls below the threshold of conventional war. “Here all the instruments and resources that a state can summon are used to further the national, political objective. This means that diplomatic, economic, cultural, informational, technological etc. instruments do not serve neutral purposes,” the researcher said during the seminar. “They all combine in the service of the internal and external goals of the Chinese state,” he added. He said by employing the grey zone strategy, the regime tries to influence countries by taking control of public opinion, manipulating people’s emotions, and using national and international laws to protect China’s interests and create limitations for opponent nations. The Epoch Times staff member Wendy Huang contributed to this report.